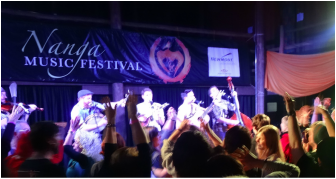 Nanga's Short n Sweet initiative is designed to cultivate and support lesser-known performance artists by offering them a 20-minute performance slot on the main stage. It's a great opportunity to connect with other performers and to make the most of the Nanga experience. ​Each Short n Sweeter is provided with full festival access from Friday to Monday, self-catering accommodation for three nights and a $200 fee. To express your interest in performing as a short n Sweet artist, click HERE to connect with our Artistic Director Jane Cornes.